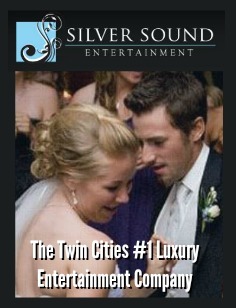 One Cool Thing To Do in the Twin Cities per day! Everybody loves Peanuts, and because what’s not to love? 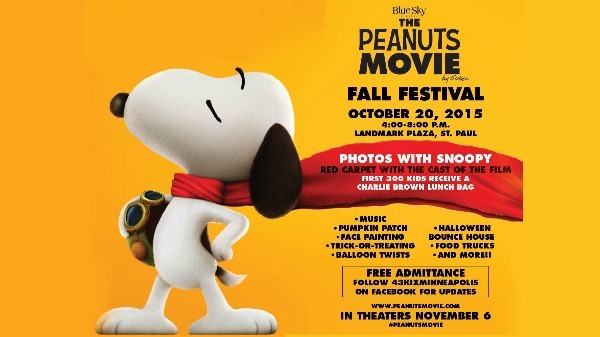 Come out Tuesday October 20th from 4-8pm at the Landmark Plaza in St. Paul to celebrate the Peanuts Movie Fall Festival. 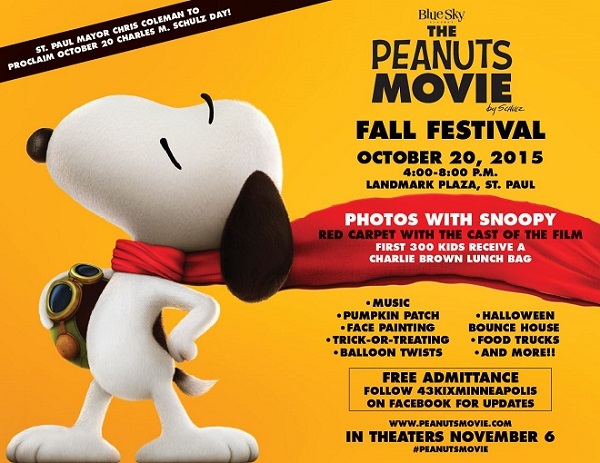 St. Paul Mayor Chris Coleman with be proclaiming October 20th Charles M. Schulz Day! Lots of fun for the kiddos, with the first 300 kids to receive a Charlie Brown Lunch Bag. 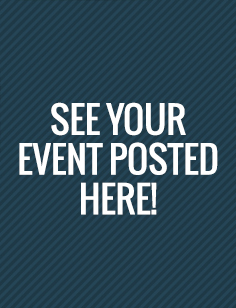 There will be music, a pumpkin patch, face painting, balloon twists, a bounce house, food trucks and more. 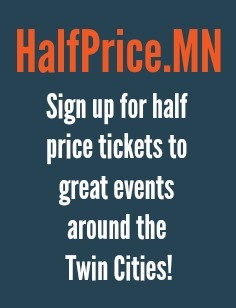 Every one admitted for free! 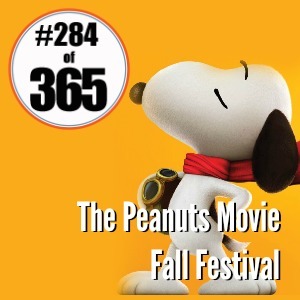 The Peanuts movie will be in theaters on November 6th.